Are Most Funny Looking Moles Normal & Benign? A dermatologist speaks about strange or weird looking moles. 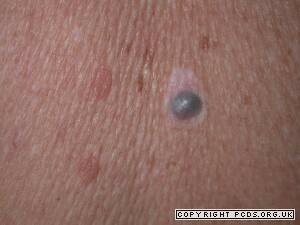 Have you discovered a funny looking mole on your body and wonder if it’s melanoma? The aggravating thing about finding a strange looking spot is when you’ve never done a skin exam for cancer before, and thus, you have no idea if the “birth mark” has always looked funny. So now, you study the strange mole every day, wondering if it’s in the process of changing. For this article I consulted with Andrea Cambio, MD, board certified dermatologic surgeon, and medical director of Cambio Dermatology in Florida. Asymmetry. One half of the lesion does not match the other in terms of color, size or shape. Border irregularity. The border is jagged, scalloped, notched or not smooth, or “bleeds” into the surrounding skin. Irregular Boarders. The spot has jagged, notched or scalloped edges, or edges that are not smooth. Color variation. It has different shades of blue, black, brown or red. Diameter. Greater than that of a pencil eraser (6 mm). Evolving. It is changing; it may be crusting, bleeding, itching, elevating, changing colors or getting darker (or lighter). What if you’re viewing a funny looking mole for the first time? Has it always been that way? What did it look like a year ago? Was it even there a year ago? wondering if it’s in the process of evolving? For peace of mind, it’s perfectly okay to request that the spot be biopsied. This can be a partial biopsy or removal of the entire lesion. Don’t worry about scarring; it’s negligible and may be less noticeable than the pigmented growth that was removed. 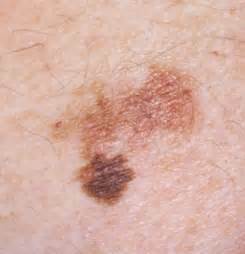 Dr. Cambio adds, “The more atypical (dysplastic) moles an individual has, the more likely they are to develop a melanoma in their lifetime.” These are funny or “ugly” moles that typically appear on a person’s back. 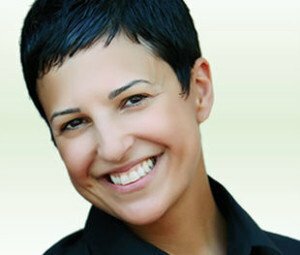 Dr. Cambio has extensive training and experience in all aspects of adult and pediatric dermatology, laser, skin cancer, dermatologic surgery and cosmetic dermatology. 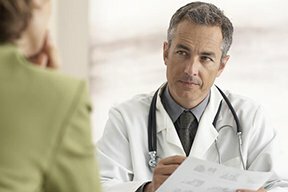 Can an Itching, Bleeding Mole Be Benign? Might a Bluish Black Freckle Be Melanoma?